Some Garelli Motorcycle Manuals PDF are above the page. Engineer and avid motorcycle racer Adalberto Garelli among the personalities that determined the direction of development of motorcycle construction, takes the same place of honor as the creator of the first serial motorcycle motor Albert de Dion, who developed the first four-cylinder motorcycle from the FN. 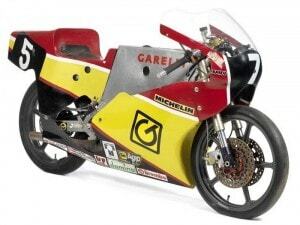 Like them, Garelli designed a completely new engine for his time, only two-stroke. Having received an engineering degree in 1908, a young specialist started work at the Fiat automobile plant. It was there that he began his first experiments with two-stroke engines. Departing in 1911 "for free bread", Garelli already the next year patented a fundamentally new two-stroke engine, but the possibility of building it serially was not. Nevertheless, in the winter of 1914 Adalberto Garelli on a motorcycle with his new engine participated in one of the mountain races, showing an excellent result and admiring the motorcycle community. In the same year, Garelli became the head of the motorcycle department of the company "Bianchi", and from 1915 to 1918 he headed the production of motorcycles Prinetti e Stuchi. During this period, he won several races, including special competitions for the prizes of the Italian army. However, it was not until 1919 that his dream came true - in the town of Sesto San Giovanni, the serial production of Garelli motorcycles with a two-stroke engine of a special design began. The second half of the 80s was marked by the appearance of new mopeds, among which is the version of the "Tiger 50 XLE" with a liquid-cooled engine. A series of off-road motorcycles "Tiger 125" was also built in the modifications "XR", "XRD", "XLE" and "XLK". Road motorcycles were represented by the models "TRS 125" and "STA 125". In addition, the motorcycle "Garelli 323" debuted (300 cm3, 16 hp). On these machines there was already an electronic ignition system. The good old motorbike "mosquito" in the updated version also remained in production, being sold both in a separate set and in a set of motorbikes. The further history of the company "Agrati Garelli" did not contain any special ups and sensations. The scooters and small-bike motorcycles of Japanese companies that appeared in large numbers complicated the life of European manufacturers in this sector of the market. 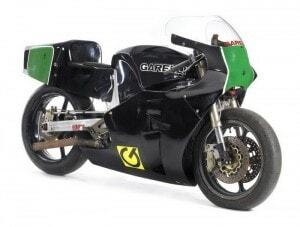 The range of Garelli models gradually decreased and by 1998 consisted of only two 50-cubic models - the moped Gary and the off-road scooter "997". Since that time, nothing is known about the Garelli mototechnics, until 2007, when at the EICMA 2007 motor show the company introduced the Tiesse scooter range with engines from 50 to 150 cc. 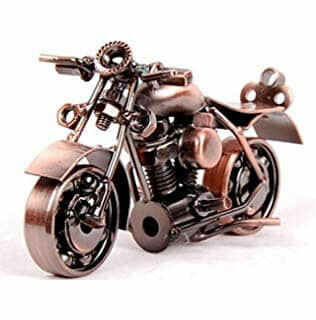 Look - Moto Morini Motorcycle Manuals PDF.